It’s like a cross between a rabbit and a teddy bear – except cuter. 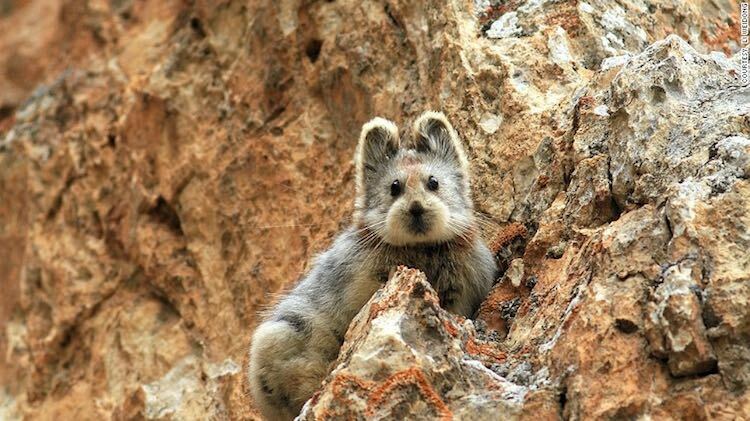 Found in the Tianshan mountain range of northwestern China, these adorable 8-inch long mammals haven’t been photographed since 1990. Li Weidong discovered the pika in 1983 and named it after his hometown: Ili. Since then, Li has dedicated decades of his life – and over $35,00 of his own money – to studying and protecting the elusive animal. Climate change and habitat loss has rendered the Ili pika as an endangered species that has needed to continuously retreat into higher elevations of mountainous habitat in search of snow. Li has called for the establishment of a nature preserve to keep the Ili population from further declining. Check out more photos of Li and his pika friends at CNN.